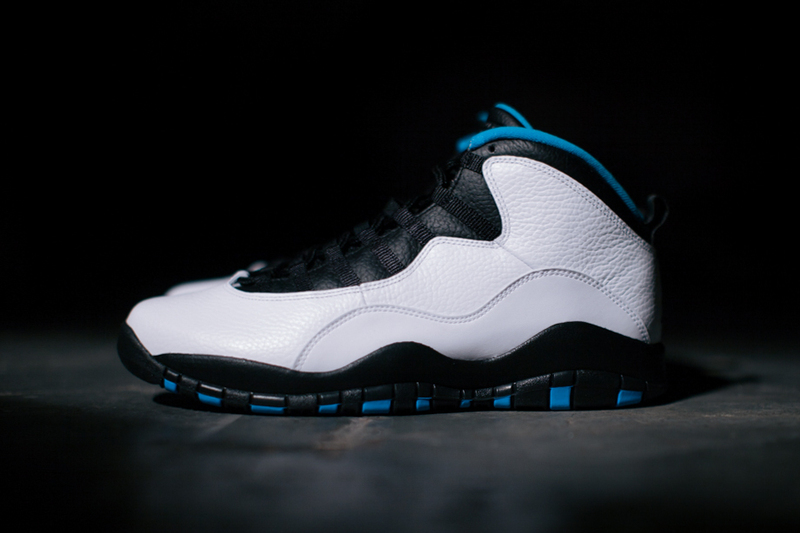 I have been patiently waiting for the Powder Blue Air Jordan X to finally drop. Since they have never been retro’d before like the Jordan X “Bulls” of last year, it makes these one of the best retro releases of the year. This particular shoe is special to me because of the nostalgic memories I have from being a kid growing up watching MJ and wanting to have every single pair of Jordans. 1. 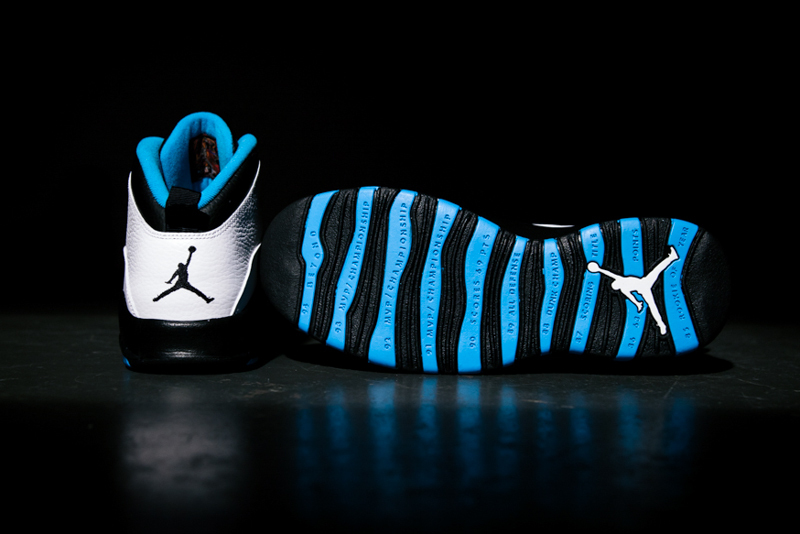 My favorite thing about the Jordan X Powder Blue starts with the black midsole. 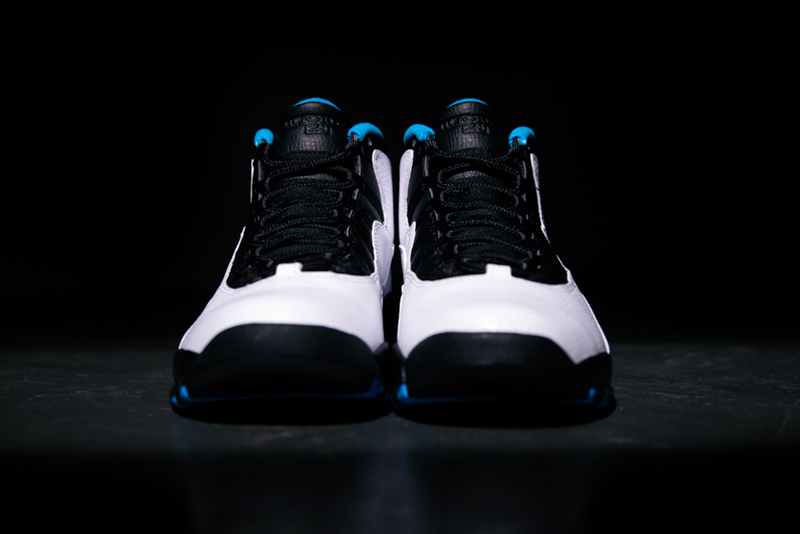 It brings the shoe a more aggressive look–almost reminiscent of a blacktop basketball shoe. 2. The Powder Blue hints accent the shoe perfectly. Its not overbearing where the shoe is covered. 3. The elastic bands in the lace area hold your foot in place which leaves room for me to not have to tie my kicks (which I never do). 4. On the sole of the shoe, you find MJ’s accomplishments through out his career. 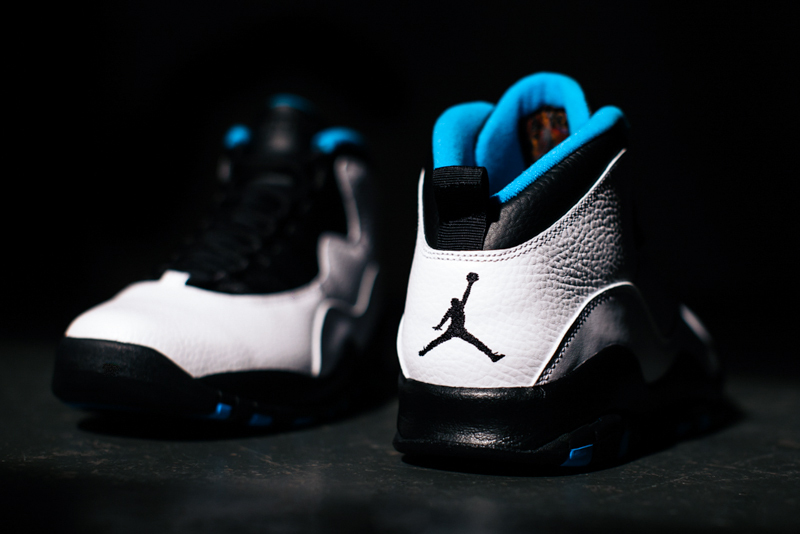 This is what the Jordan X is most known for. 5. On the inside of the tongue is the artwork made for the Jordan X. It’s always my favorite part of a sneaker when special artwork is made for the launch of a shoe. It’s how you identify what that particular shoe is.